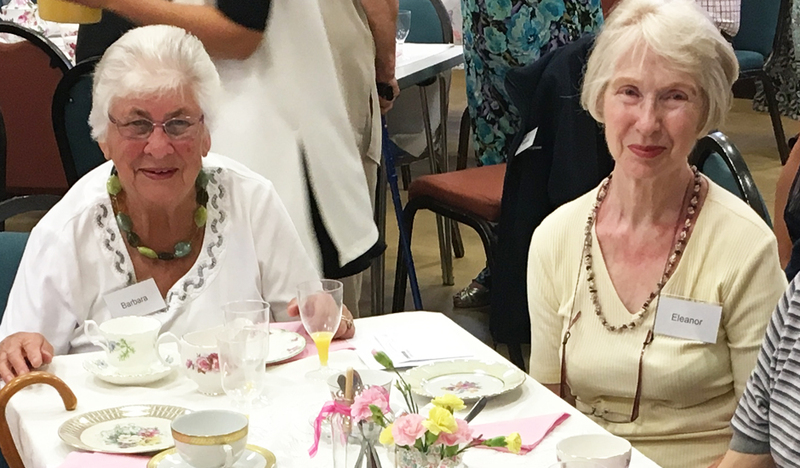 Meet Barbara and Eleanor, two of the original volunteers who established our Harold Wood shop over 20 years ago. As long standing volunteers, they’ve given a huge amount of their time to support Rainbow Trust, even being part of Harold Wood’s recent milestone of reaching £1 million raised for families. How did you first hear about Rainbow Trust? Barbara: I’ve been involved in charities for a long time, in fact I used to volunteer at a different charity, but came across an advert for Rainbow Trust’s shops and thought I would try something new. I’ve been here for 24 years now! Why did you decide to volunteer for the charity? Barbara: It’s nice to do something for children – especially when you have had your own. Hearing stories about how tough life has been for some of the children Rainbow Trust supports, makes you feel so grateful for your own good health. Eleanor: I heard about Rainbow Trust through a friend. We were meeting up one Christmas and a friend of Pauline Obee’s was looking for volunteers, so I decided to get involved – and I never left. Barbara: I really enjoy meeting new people and I have a lot of fun with all the other volunteers at the shop. It’s very social and I really like that. Do you have a particularly distinctive memory from your volunteering so far? Eleanor: Working in the shop I get to see regular customers and over time I’ve seen whole families grow up over the years. It’s nice to be a regular part of a family’s life and see children grow up. Barbara: I don’t have a specific memory, but knowing that I am doing something to help others is very important to me. It’s a good reminder of how important our fundraising is. If you were to meet someone who was considering volunteering for Rainbow Trust what would you say to them? Eleanor: I really recommend it. It’s lovely to see the impact of the money we raise and the time we give and how it helps children and their families. If you could sum up your volunteering in one sentence what would it be? Barbara: Enjoyable – it feels so good to meet people and help other people going through a difficult time. Eleanor: If we weren’t doing it, I would miss it terribly. The people we work with have a great common interest in Rainbow Trust and it’s great to be part of a team doing good.